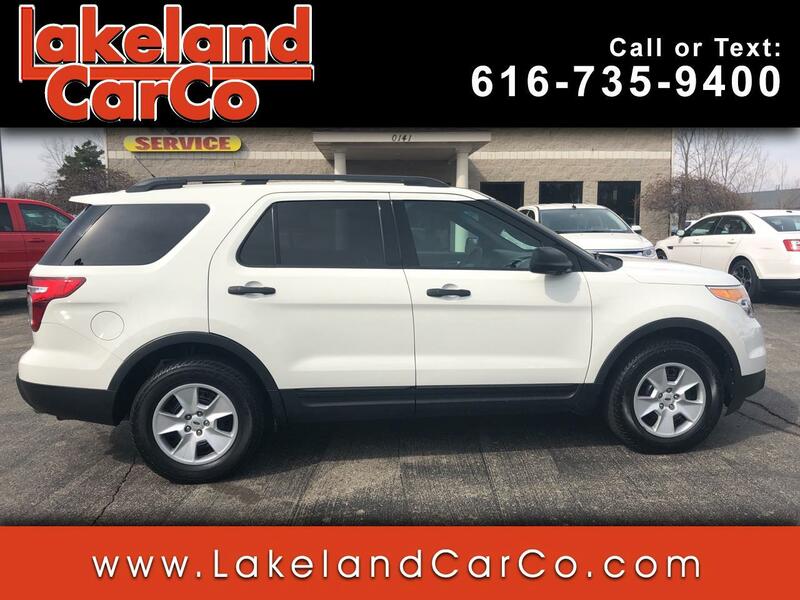 Used 2012 Ford Explorer Base 4WD for Sale in Grand Rapids MI 49534 Lakeland Car Co.
You'll love the way you feel in our White Platinum Tri-coat 2012 Ford Explorer XLT 4WD! Powered by a proven 3.5 Liter V6 that offers 290hp while connected to a 6 Speed Selectshift Automatic transmission for easy passing. This Four Wheel Drive keep you on the road in those nasty weather conditions and provides smooth handling that will have you singing its praises! Explorer XLT's bold design is attractive with its distinctive grille and alloy wheels. You will appreciate the spacious cabin of our XLT, plus towing and cargo options for your active lifestyle! Climb inside, sit back, and enjoy its modern, comfort features. Check out the high-tech instrument panel and Ford SYNC with available satellite radio w/audio input jack, a leather-wrapped steering wheel/shift knob, great lighting, extra storage and over-all luxurious feel. Relax in the rear reclining seats and enjoy this awesome ride! Explorer earned top ratings in safety, and it's easy to see why. Six standard airbags, SOS post crash alert, roll stability control and tire pressure monitoring are just a few of the features that keep you and your passengers safe. When it comes to a versatile SUV with plenty of great features, you can't go wrong with the Ford Explorer XLT. You have chosen well! Print this page and call us Now... We Know You Will Enjoy Your Test Drive Towards Ownership!